Patten & Co., CPA is a Bay Area CPA firm who specializes in providing taxation, audit and accounting and consulting services for small businesses and start-ups, individuals, estates and trusts, and exempt organizations. What differentiates us, is our background in training. Our team has experience ranging from national CPA firms with international networks, to small local CPA firms. So, we can service our clients thinking both “big picture” and get down to the “nuts and bolts”. We recognize that each client has unique goals and we are dedicated in providing our clients with professional, personalized services and guidance in a wide range of financial, business, organizational, and personal needs. Our team’s 25 years combined experience and expertise, we assure that every client receives the close analysis and attention they deserve. Our dedication to high standards, work ethic and due diligence is the reason our client base returns year after year. We will assist you with every aspect of your accounting and taxation needs, whether it’s preparing a tax return, tax planning and consultations, entity formation, bookkeeping, preparing financial statements, and outsourced Controller and CFO services. Mike Patten, CPA has worked for local, regional, and national public accounting firms ranging from local CPA firms servicing individuals and small businesses and organization’s needs, to auditing multi-national publicly traded companies. In his own accounting practice, Michael has worked with and advised small businesses and start-ups, individuals, exempt organizations and estates and trusts in the areas of taxation, audits, cash flow management, estate planning, entity formation, and organizational management. 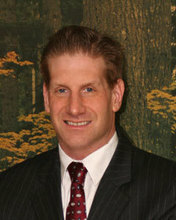 Michael began his career in the Bay Area as a Staff Accountant for Timpson Garcia, LLP and quickly assumed managerial roles in the San Francisco offices of BDO USA, LLP and Moss Adams, LLP where he handed large scale and diverse audit projects on behalf of international companies with up to $300M in annual revenue. During his time in public accounting, he handled audits of publicly traded companies, technology, manufacturing and distribution, construction, real estate, retail, venture capital, and non-profit organizations. In addition, his tax experience at both local CPA firms that he worked for, and his own practice has focused on both tax compliance and tax savings strategies for small businesses and start-ups, individuals, estates and trusts, and exempt organizations. Mike received his MS in Accounting from the University of Illinois at Chicago and AB in Economics from the University of Georgia. In addition, to being a CPA he is a member of both the American Institute of Certified Public Accountants and the California Society of Certified Public Accountants. He also was the Treasurer of an Oakland based Chartered High School for over five years. Abhishek Agrawal, CPA has over 15 years combined audit, accounting, and tax experience in public accounting and private industry. During his career he has had a variety of industry experience and specialties include software, gaming, financial services, construction, biotech, and exempt organizations. Mr. Agrawal began his career in India and was certified as a Chartered Accountant before coming to the United States. He has Bachelors in Accounting and Masters of Business Administration from Pune University and is also a member of the American Institute of Certified Public Accountants (AICPA) and the California Society of Certified Public Accountants (CALCPA).